I first heard of Samadon Ayangba from Pundit Ningthoukhongjam Khelchandra. That Pabung Khelchandra, then in his eighties, looked a bit like a better-humored Yoda with his lined face, wispy hair and large ears seemed appropriate for this great scholar. Dusting off a small folk clay figure of a winged pony that he took off a shelf in his living room, its four walls piled to the ceiling with bundles of crumbling brown Manipuri manuscripts that had invaded his living room from his library inside. He cracked a wide grin that lit up the room, taking his usual delight in giving me a tidbit from his great fount of knowledge. I had recently returned from New York after an absence from Manipur of fifteen years, yet I felt like a wide-eyed schoolboy from Hogwarts as this great wizard told me of how the fearsome winged beast, the creation and the mount of Ibudhou Lord Marjing, the deity of the Northeast, one of four guarding the land, was the ancestor of the Manipuri Pony. When Pabung Khelchandra told me the shrine to Ibudhou Marjing and Samadon Ayangba was in Heingang Village, I called up my friend Nongthongbam Biren. He was then the Sports Minister, and I had gotten to know from my Major League Baseball coaching camps in Manipur. The shrine was in his constituency. Together we climbed past little figurines of ponies and an empty stable up to the hill that hugged the gleaming paddy fields of the village in the distance. Fading into the horizon was a green brushed with a haze of pink that I knew would be the summer lotuses that swathe Heingangpat, one of the many marshy lakes that prettily sequin the valley of Imphal. Leaving after making our obeisance to the twin rocks that jut out of the face of the hill, in which as the representation of Ibudhou Marjing our forefathers had invested the sacred, we climbed up still further to a little man-made shrine, not much higher than three feet inside which a folk sculpture of a winged pony stood. On from of it a pair of wooden slippers, supposedly for Ibudhou Marjing to slip into as he dismounted, had been thoughtfully provided. As we descended, I asked the attendant why the stable was empty. Oh, there are three of them, gifts from worshippers. They have gone down to the lake for lunch, he said. They will be back late in the afternoon, their legs covered with leeches, he added helpfully. It was then that I proposed to Biren that Heingang, the village of his birth might be the appropriate site for a natural preserve for the Manipuri Pony, dedicated to Ibudhou Marjing and named after Samadon Ayangba. The Manipuri Pony is a semi-feral creature. I remember seeing as a child, herds of Manipuri Ponies in Lamphelpat, once a marshy lake much like Heingangpat. What sets the Manipuri Pony apart from other semi-feral ponies such as the Dartmoor Pony is that many of them are highly trained polo ponies. Indeed, the Manipuri Pony is the original polo pony of the modern game as it is Manipur's traditional game of sagol kangjei that Lt. Joseph Sherer of the Sylhet Light Infantry, today known as the 'father of modern polo', introduced to the British Empire and which became what is known today as modern polo. In the traditional style of rearing the Manipuri Pony, the owners let their animals roam in the commons, marshy areas that, being unfit for proper cultivation, was available as well as favored by the animals themselves. They fetch their animals when needed for war, games of polo or rituals, after which they are returned to the commons. Foals belong to the owner of the mother mare. The Manipuri Pony is never used as a pack animal. It is sacred to the Meiteis. When I came back to Manipur in 2000, I was shocked at the deterioration in the city that I had not seen in many years. Was it that my eyes had become accustomed to the gleaming towers of New York? No, I had seen enough of the ghettoes there too. The quiet pretty town, with lanes lined with bamboo, neat houses with little ponds lined with hibiscus and jasmine had disappeared. Amid the bedraggled buildings ran broken roads lined by crooked poles strung with hundreds of power lines. In the place of droves of sarong-clad girls on tinkling bicycles was honking traffic. It looked like any other small, congested, dirty Indian town. And there were ponies on the streets. Crippled ponies and thin foals in twos and threes, standing on traffic meridians, angry traffic swerving around them, hungry ponies feeding on piles of garbage filled with plastic bags, dead ponies. Their traditional grazing commons in Lamphelpat was now built up with offices and hospitals that encircled large garbage dumps. I saw some ponies living, feeding, surviving in squalor, reminding me of the garbage colonies in Tondo in Manila. The sacred animal, the magnificent beast of war and games, was now homeless and had turned into a garbage forager. I kept quiet, afraid people would say I had come back from a fancy, rich world with attitude to match. I learned from my conversations with long-lost relatives and friends like Yambung R.K. Nimai and Moirangthem Shantikumar that there was only an uncertain census of the pony population and that they could be as few as 1000. I learned that the ponies on the streets were not technically homeless but had owners who could not afford to feed and keep them at home. Once more or less feeding themselves in the commons, and wandering on to paddies after the harvest, the ponies now had wandered on to the streets having lost their semi-domestic habitat. And many were polo ponies: smart, accomplished, valuable, sacred animals adept, having been trained for four or five years, in the Sport of Kings. Yet, upon my now yearly visits, I kept seeing ponies on the streets. I wrote personal memos, as is my occasional wont, to concerned ministers and roped my friend Shantikumar who was a member of the polo associations in town into the venture. We visited the Pony Breeding Farm of the state's Veterinary Department that was run by the Manipur Horse Riding and Polo Association (MHRPA). There, Sanjenbam Buddhachandra and Tamo Ningthoukhongjam Tombiraj, son of Pundit Khelchandra, showed me around. There were neat, ordered fences and clean, sturdy stables. In the fields beyond, within the modest 11 acres of land, there were 30 or 40 ponies grazing contentedly. It was bracing to see some vital preservation being done in service of the game of polo. But why not a larger conservation of the Manipuri Pony to restore their land, their way of life, that we had taken from them, I asked? My initial suggestions, starting in 2007, were general, uninformed and tentative: why don't we build a preserve for these ponies on the streets? No accomplished rider or polo player like many in my mother's family, or much of an environmental or animal activist, my concern was simply that of a citizen and a son of the soil. The Manipuri Pony was an animal sacred to Manipur; it was one of India's five equine breeds; it was the original polo pony of the modern game; its number was down to a perilous 1000, perhaps even 500; it was as endangered as the sangai; it was a traffic hazard; it needed a home. Back in the US, I found myself traveling regularly to Kentucky to work on film projects in the mountainous eastern Appalachian part of the state called the Cumberlands. Landing in the city of Lexington, I reconnected with Evelyn Knight, formerly of Appalshop, and then the Director of the Appalachian Center at the University of Kentucky. She heard of my stories of ponies back in Manipur and drove me past stately thoroughbred farms to the International Museum of the Horse at the Kentucky Horse Park. Bill Cooke, the Director of the Museum, showed me around this museum located in the heart of America's horse country. When we came to the permanent exhibit on the Horse in Sport, naturally an important field in this land of thoroughbred racing and the home of the Kentucky Derby, I remarked on the absence of Manipuri Polo in the exhibit. I proposed the addition of traditional sagol kangjei in their display of polo, and the Manipuri Pony in their catalogue of Breeds of the World, to which both Bill immediately and happily agreed. On my next visit to Manipur, I discussed the idea with Yambung Nimai and we introduced the idea of a gift of a full set of sagol kangjei gear to Governor Gurbachan Jagat. His Excellency immediately agreed to donate a complete set made according to authentic traditional museum-quality standard to the International Museum of the Horse on behalf of the people of Manipur. Yambung Nimai commissioned Meisnam Khelen, a noted polo player and a former captain of the Manipur polo team and a member of the All Manipur Polo Association. Over the next two years, Khelen painstakingly made a traditional saddle of lamuk wood, coated with six layers of Burmese lacquer he specially imported from Mandalay; iron stirrups; shin guards of buffalo hide, braided bridle, and a full player's garments of raw silk and a turban of starched cotton. This foray into the world of horses in Kentucky proved important in tying my work in cultural exchange in the US with the polo loving people in Manipur to forge a stronger push to save the Manipuri Pony. Now, each time I came to Manipur, I brought back horse-related books, brochures, artifacts, and souvenirs from Kentucky for the Governor and the Chief Minister of the state, as well as for the leaders of the polo community. It served to show what was being done in Kentucky, to inspire what we could do in Imphal. When the gifts from the Governor finally arrived in late 2011 and went up a year later, and today a Manipuri sagol kangjei player stands beside an American polo player in modern attire. My friendship with Edward Armstrong of the United States Polo Association (USPA), then with its headquarters in Lexington, proved to be another plank in our campaign. A horse-lover and a polo player himself, the ruddy big-boned Bostonian had driven over early that morning to see the Governor's gifts when the crates arrived. He agreed to bring a team from the USPA to play in the next international tournament that the MHRPA organized. Early in 2012 I brought the news to the tournament's organizers, showing them photographs of the uncrating of the gifts. And when that summer, after Yambung Nimai and I were ushered into the presence of Okram Ibobi Singh, the Chief Minister of Manipur, and he had greeted us with a friendly, So have you come about the ponies again?, we briefed him on the interest Americans were beginning to take in Manipur's polo and pony culture. We requested for a natural preserve for the Manipuri Pony as international interest builds towards the 150th anniversary, in 2014, of Lt. Sherer's introduction on sagol kangjei to the outside world. He agreed to a preserve for the Manipuri Pony in Heingang at the foot of the shrine to Ibudhou Marjing and asked Yambung Nimai to submit a plan. That was the tipping point. Over the next twelve months, the Chief Minister looked at the plan, discussed it with Thoudam Debendra, Minister of Revenue to get the land surveyed. and sanctioned 200 acres. 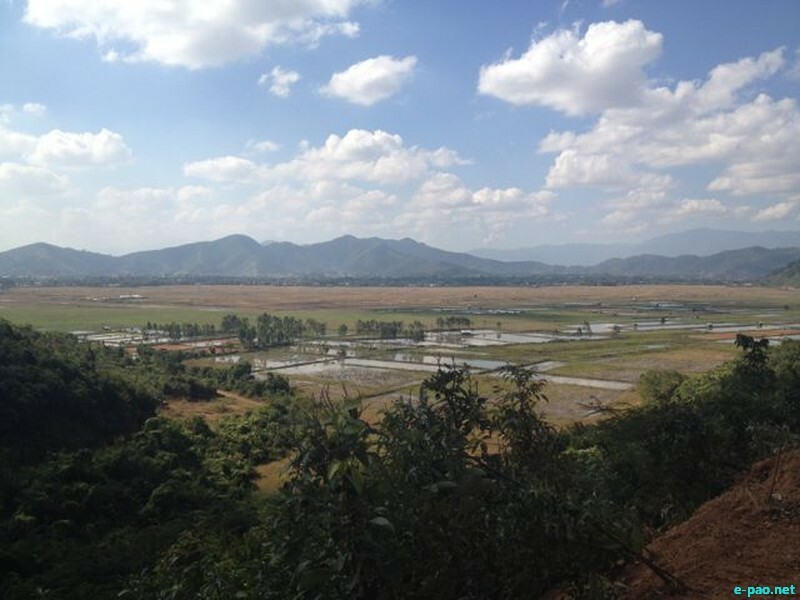 It included government khas land, paddy fields to be acquisitioned and low lying hills on either side of Heingang Hill around the villages of Heingang and Khundrakpam on the Pangei side. With Okram Surja, whom I call by his nickname Kennedy, I went to the shrines of Ibudhou Marjing and his winged mount Samadon Ayangba to offer flowers and lamps. And together we toured the prospective site. It was from this point that I saw the Government in action, its chief executive at the helm. It was impressive to say the least. The Chief Minister assigned the project to Govindas Konthoujam, Minister of Animal Husbandry and Veterinary Services, turning over the land to his Ministry. A dynamic, quick and effective administrator, Minister Govindas swung into action. Maps were drawn up. Surveys were made. A census was initiated; a registration process begun. For its part, the MHRPA resuscitated its sister organization, the Manipuri Pony Society and revived and revamped it as a breed society for the Manipuri Pony. It called a meeting of all the polo clubs and pony owners. Dr. Kshetrimayum Chourjit, the head of the Manipuri Pony Society, Ibungochoubi Ningthoukhongjam and Tamo Tombiraj documented and made a rough count of the ponies on the streets - there were about 300 - that we would need to house. Ta-yai Ningthoukhongjam Bedajeet put his considerable expertise into the feed, natural pasture and planting requirements - and how much it would all cost. On several visits, Minister Govindas joined up 'Heingang' Biren and toured the site with their staff. Okram Kennedy came to gauge how volunteers from his Green Revolution Society might pitch in. Archeologist Thongbam Nanjesh of the Manipuri Pony Society drew up the coordinates of the site on his GPS. Ta-Buddha and Tamo Tombiraj checked the borders staked out to see where the water barriers, stables and drinking pools might go. Director S. Joute and his deputy in Veterinary Services, Haobijam Chaoba, oversaw the logistics and operations. All came together to draw up the plans and share a vision for a preserve suited to Manipur: a nature preserve dedicated to Ibudhou Marjing and named after Samadon Ayangba; a semi-feral commons along the traditional lines that would be the foundation of an appropriate equine science and management, and circled by with natural bamboo, water barriers and hills; stables of recyclable, indigenous materials and home-grown building technologies; a safe and pastoral home for the ponies to graze and breed undisturbed after many years among the street rubble and trash. On Friday, an auspicious day of the week, the 8th of November 2103, two gargantuan excavators that had rumbled on to the site. The machinery operators offered balls of puffed sugarcane-sweet rice placed carefully upon banana leaves and lit candles. After we all kowtowed to Ibudhou Marjing, ground was broken for this Nature Pony Preserve. But we have only just begun to scratch the surface, so to speak. The work ahead is immense and the road stretches far ahead. Over the next few weeks, temporary and natural barriers will be built on the state-owned land immediately available; shelters constructed; feed for the winter organized; pony owners notified to either take their animals home or bring them to the preserve; and caretakers hired. Over the next 4 months, the acquisition of assigned land will be completed, a state policy for the pony drafted, a governing body instituted, and a long term strategic development and maintenance plan developed. And when the international tournament opens, a special protected status for the Manipuri Pony will be declared officially, giving this rare and sacred animal its rightful place in the land of Manipur, as well as a home. For we must satisfy the question Iche Achoubi from the Keirak Polo Club posed to the Manipuri Pony Society: We will bring our ponies to the preserve, but will you love them as we do? That is the heart of the matter. L. Somi Roy is a film and media curator based in New York and Imphal. His work in sports and culture may be seen at Huntre! International Manipur Projects. The first phase of the preserve is at Heingang with a second area over the hill at Khundrakpam. 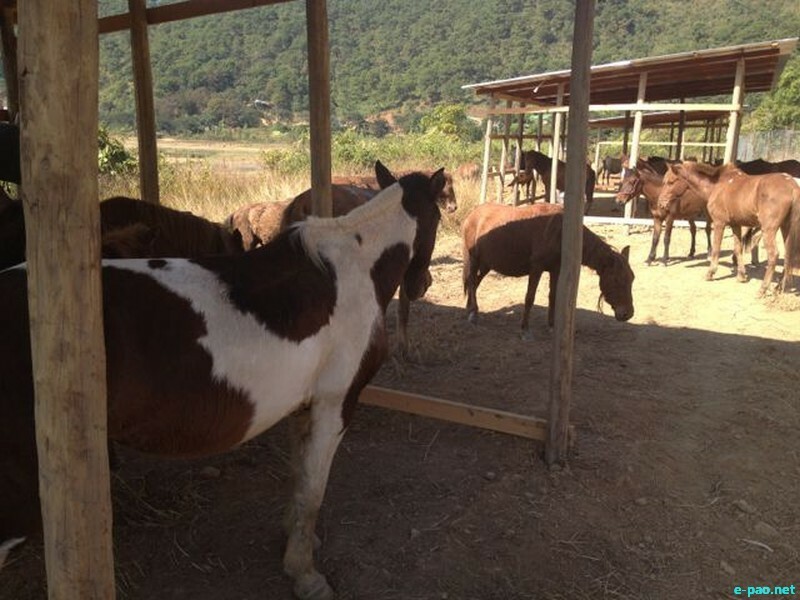 Progress on the preserve may be followed by joining the open group Save the Manipuri Pony! on Facebook. This article first appeared in the program souvenir book of the 7th International Manipur Polo Tournament of 2013. This article was posted on December 10, 2013.